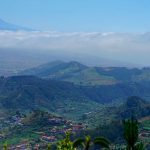 Just because we want you to have fun and fully enjoy everywhere you go, here you are a list where you will find the best things to do in Costa Adeje. Costa Adeje is the most exclusive area in southern Tenerife. It is full of five-star hotels, idyllic beaches and a wonderful promenade which has become a sort of mecca for those who enjoy luxury purchases. So, if you are planning to spend your holidays here or maybe just to spend a few days, you should know that there is a wide variety of things to do in Costa Adeje, from beaches and water parks to outdoor and indoor activities, and shopping spots. Off we go! We know that one of the most attractive things about the Canary Islands is the beaches. So, we want you to have all the information about beaches in Costa Adeje. This way, you will find your dream beach with the most suitable holiday offers directly at that beach. Playa del Duque is one of the best beaches located in Costa Adeje, Tenerife. On Playa del Duque, there is a classy atmosphere and you will find everything that you need from a high-quality beach. On the amazingly light, fine sandy beach you will find plenty of loungers, nice straw sunshades, an elegant beach bar, and a volleyball court. The beautifully laid-out promenade with its classy restaurants and its exclusive shops connects Playa del Duque with its adjoining beaches. There is also a wide variety of leisure options at the Water Sports Center. In this place, you can unwind, pamper yourself in the sun and spend a wonderful day. It sounds terrific! Playa Fañabé, or Playa de Fañabé, is one of the main beaches located in Costa Adeje, Tenerife. It is a tourist beach with ideal conditions for those who prefer long sandy beaches with a huge choice of dining options for all budgets. Its excellent infrastructure and the great number of lifeguards are important factors that guarantee your comfort and safety. At this beach, you will also find different play areas for children, which also provide a lot of fun and entertainment for the young ones. If you are a walking lover, you should pay attention now. You can reach other nearby beaches on the continuous promenade walking! And you can walk up to seven kilometers along that marvelous landscape while you hear the lovely sound of the sea. The great swimming conditions and the possibilities of practicing different water-sports ensure that nobody gets bored on Playa de Fanabé. La Caleta is a small fishing village that has grown to become a cozy and quiet holiday complex in the southwestern part of Tenerife, Costa Adeje. It is characterized by having a few restaurants where you can eat, at a very affordable price, fresh fish since most establishments have their own fishing boats. It is approximately five or six kilometers north of Playa de las Américas. La Enramada in Costa Adeje is a natural beach that measures between 200 and 300 meters long and is covered with coarse lava sand and rocks. The water is clear and clean, and sometimes there are big waves. During high season, it is possible to rent sun loungers and straw umbrellas on the beach, and there is also access to the toilets. There is also free parking at both ends of the beach, which is a great advantage. This beach does not have water sports activities, but there is a chillout bar on the beach called Coqueluche where you can relax and enjoy a cold drink with your family or friends. At the end of the evenings there is usually live music and it is also the favorite landing of the tandem paragliders of Overfly Tenerife. Playa de Troya, or Troya beach, is located in the south of Tenerife in the famous holiday resort Las Américas, in Costa Adeje. If you are looking for a beach that has got everything, you will find that Playa de Troya is the perfect place. There you will find everything that any tourist could wish for. There are lots of leisure activities, restaurants, and beach bars with music in its promenade. Moreover, here you will also find cleanliness, safety, peace, and quiet. And for those who want to relax, there are comfortable sun-loungers as well as massages on offer. Tourists of all ages and from many different countries always have a perfect day at Troya beach! Playa de Diego Hernandez is a very beautiful and remotely situated sandy beach in the south-west of Tenerife, in Costa Adeje. The astonishing landscape at Diego Hernandez beach makes you feel like you are living a dream. The golden sand, the light-colored rocks, and the turquoise water are all equally impressive. This beach is strongly characterized by the hippy people who live here and the straw shacks that they have built in this paradise. The atmosphere is very relaxed, and everyone is welcome here, including pets. It is a kind of nudist beach since many people here swim without any clothes. It has another plus, and it is that camping is also possible in this place. In a nutshell, if you feel like you need to let your soul fly away, Playa Diego Hernandez is the beach you were looking for! As you already know, we are here to help you to find the best things to do in Costa Adeje, and one of those things is shopping! Here we are going to show you a list of the best shopping centers and spots to buy souvenirs or whatever you can imagine! Treating yourself sometimes is necessary. So, off we go! Built on an area of 10,392 square meters, the San Eugenio shopping center is divided over four floors, three of which are in commercial use, and the last one counts on 300 parking spaces. This shopping center has 120 stores, distributed between the first, second and third floor. In these establishments, you can find a variety of shops, leisure, and other services like catering. They also have the Mercadona supermarket with the largest area at the south of the island. It has the special characteristic of being an open shopping center, where you can easily walk its wide streets. San Eugenio shopping center already has more than twenty years of industry experience behind it. That is the reason why we invite you to visit it and enjoy a pleasant time this cozy shopping center. Perfectly located in the heart of tourism on the island of Tenerife, Costa Adeje, Siam Mall, since 2015, is a new concept of a shopping center. It is open 365 days a year, it has a very wide variety of commercial options that are among the most complete in the Canary Islands, with over seventy establishments dedicated to fashion, leisure, and catering that are part of a unique open-air space. Zara, Zara Home, Mango, Massimo Dutti, Oysho, Timberland, Sfera, Guess, Intimissimi, Swarovski, Tous, Parfois, Sunglass Hut and Calzedonia are just some of the well-known brands which can be found here. From its spacious terraces, you have the chance to enjoy the amazing views of the sea that bathes Costa Adeje. You can even see the island of La Gomera, as well as the whole of the south of Tenerife. Siam Mall is a space characterized by the impressive Thai vegetation and decoration. It is perfect for family leisure with its constant shows and events for all ages. Furthermore, the shopping center allows pets of up to ten kilos, which enables the visitors to enjoy a unique shopping experience without setting aside any member of the family. The essence of luxury resides in Plaza del Duque, which is considered the ideal destination for ‘fashionistas’. It is ones of high-end shopping center in the Canary Islands. Plaza del Duque shopping center is a spectacular modern building with an image as astonishing as the quality of its exclusive boutiques. It is perfectly suited to the discerning shoppers — consequently, you will find labels like Loewe, Pucci, Givenchy, Celine, Prada and Porsche Design, with a few exceptions such as Mango. The Gran Sur Shopping Center has quickly become one of the main meeting points for leisure, shopping and free time in Costa Adeje, at the south of Tenerife. It is known by its quality and its variety of shops, restaurants, and attractions, which provide a full day’s distraction for the whole family. One of the most innovative parts of this shopping center in Costa Adeje is the cinema. It is provided with seven comfortable theatres and equipped with the latest in movie technology. Moreover, there is another plus, and it is that English-language films are played daily. If you consider that you are a moviegoer, you cannot miss this amazing shopping center! Among the plenty of things to do in Costa Adeje, we strongly recommend you to visit the water parks. Above all, if you are traveling with children. Moreover, one of them is considered the best in the world. Let’s dive into these water parks! Siam Park is located at Playa de las Américas, and it is undoubtedly one of the best things to do in Costa Adeje. It was first opened in 2008, and it was opened by the Princess of Thailand Maha Chakri Sirindhorn. Siam Park includes Thai theming on all its rides, park buildings, and restaurants. The park’s 25 buildings are the largest collection of Thai-themed buildings outside Thailand. In addition, the restaurants serve Thai food as well and it also has a Thai floating market. This water park is built on a hill, which permits the slides to follow the park’s terrain similar to a terrain roller coaster. Hence, they lack the prominent support structure present in most water slides. Some of its rides are the volcano, the dragon, the wave palace, the naga racer, the giant, the Mai Thai river, the Tower Power, but the list goes on and on. Siam Park has obtained five world records, and it has been named the best water park in the world. You simply cannot miss it! Aqualand is another water park in Tenerife, and of course, another great thing to do in Costa Adeje. This water park and its attractions are thought for children, families, and adults. In fact, it is suitable for everyone! It has a large selection of slides, tunnels, swimming pools, and kids play areas. Among its attractions, we can find the tornado, twister, kamikaze, super slalom, rapids, the spiral, the crazy race junior, and so on. Aqualand also has one of the best dolphin shows in the world, and it is included in the ticket price. Ever wanted to swim with dolphins? Well, now you can do it. Aqualand has different interaction programs with the dolphins where you have an opportunity to interact with them. Learn how they live, or relate with each other, eat and all the things you have always wanted to know about them. Don’t miss this wonderful opportunity! Other of the best things to do in Costa Adeje is practicing sports. Costa Adeje is a paradise for sport lovers. Water sports on Fañabé beach, playing golf while enjoying views of the Atlantic Ocean, fishing on the coast of La Caleta. And the best part is that you can practice whatever sport you wish with the total guarantee of being in a safe environment. Off we go! Jet Skiing in Costa Adeje will take you on amazing jet ski excursion. Get ready to experience Tenerife at full speed! It is an unconventional way to explore the many beautiful spots of the south of Tenerife, since this way, you can see different parts of the coastline. Speed, nature, and sun. What else can you ask for? The bright blue Atlantic Ocean looks even better on board one of the best jet skis in Costa Adeje. The excursions are from 40 minutes to 2 hours non-stop in which you’ll put the jet ski to the test and you will get to enjoy the beautiful blue waters to their fullest. Full speed and swimming are always a great combination. This is truly a fantastic experience for everyone that’s should not be missed! The most popular place to practice these two sports is where all the surf schools are: Playa de las Américas (5 minutes away from Costa Adeje). The spot is called La Izquierda de las Palmeras and is know internationally for the quality of its wave in the form of a tube that is very demanding and famous among local surfers. This is where the Association of Surfing Professionals (ASP) has made WQS (World Qualifying Series) dates on some occasions since the spot meets all the security and comfort requirements for this demanding competition. The best time to practice surfing on this beach is during the months of October to March, where waves of one to three meters can be formed. You can also practice bodyboarding at La Enramada Beach in La Caleta de Adeje. At certain times of the year there is usually a wave of great quality due to its volcanic rock bottom. Try them all now, you have the chance! Even the most adventurous people need a relaxing excursion, like Stand up Paddle. This sport is perfect to change of ambiance and rest from other sports. If you love the ocean and you want to savor it as much as you can, then the Stand up Paddle will allow you to do so! It is perfect for keeping all your body fit and for training your balance. Standing on the board we can paddle into the ocean over flat water and enjoy amazing views that you cannot see from the coast. If you’re lucky enough, you might even see turtles and dolphins passing by! It is undoubtedly one of the best things to do in Costa Adeje. Kayaking is the perfect sport for an active holiday in Costa Adeje! Explore the sea by kayak and enjoy the sunshine. You already know how fun this sport is! Paddle with the kayak along the coastline and discover the beautiful nature at close quarters. Don’t doubt it, enjoy kayaking in Costa Adeje! Paragliding is described by people as one of the best sensations in the world. But let us tell you that paragliding in Costa Adeje is even better. 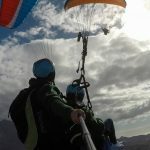 There is a specific place where we recommend to practice paragliding, and that place is know for its unusual beauty and tranquility since it is immersed in a natural place called Barranco del Infierno, as well known as Hell’s Ravine. This paragliding spot is on the outskirts of a beautiful town called Ifonche from where it takes off about 1000 meters high. So, if you want to get to know the Costa Adeje area from the heights while flying over its skies, you can do so thanks to the professional instructors of Overfly Tenerife. If you are a golf player, you must play in Costa Adeje. Golfers will love playing their favorite sport while admiring the views of the Atlantic Ocean in an overwhelming volcanic landscape in Costa Adeje. In this area in the south of Tenerife, next to wonderful beaches, are two of the best 18-hole golf courses throughout the island. We are sure that if you do it you won’t regret it, because it would be a hole in one! Costa Adeje is the perfect place to practice freediving. The climate, the temperature, and the currents make it the perfect place to practice different types of freediving throughout the year, although winter is the season preferred by professionals, as the water temperature is constant and thermoclines are not produced. Costa Adeje has lots of things to do, but don’t forget that we offer you the best view from the heights! Do not hesitate to contact us for further information at any time.